Unrecognized doctor in white coat pumping oxygen mask for a man. Lung ventilation. 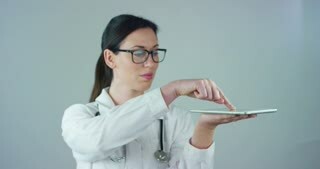 Female doctor with white coat and stethoscope, with holographic tablet represented the patient's body, the heart lungs, muscles, bones. Concept: Futuristic medicine, world assistance, and the future. Front view confident mature doctor in mask. Middle aged physician with crossed arms in medical coat, white isolated background. Doctor with mask put on stethoscope on his neck. 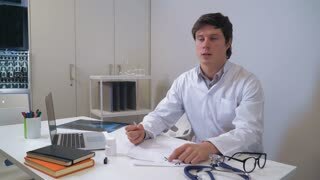 Man in white medical coat and stethoscope. Bright abstract windows blurred background. Man in white coat is laughing. 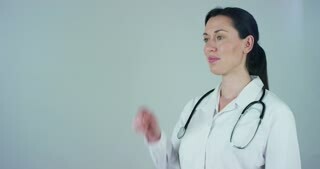 Cheerful middle-aged doctor on blurred background. Doctors hands in white coat pumping oxygen mask for a man. Doctors hands in white coat pumping oxygen mask for a man. Close up. 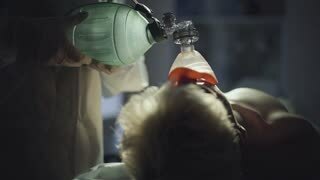 Doctor in white coat pumping oxygen mask for a man. Lung ventilation.